That’s what you call hot flashes! 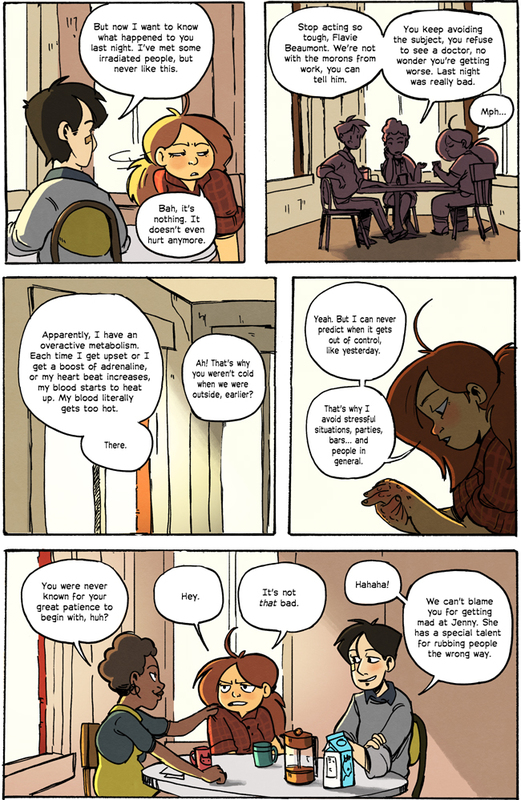 I love the warm colors of the last few pages, and the brightness of this room. It almost makes you forget that there’s an eternal winter outside. So, she gets a fever? Because that’s what usually happens when stuff like your blood getting warmer.